A classic style chemise, Blois from Liliana Casanova is made with real silk and extensively decorated with lace. The loosely tailored style of this chemise will make it comfortable to sleep in. The lace trim at the bust extends around the body and is echoed in the extensive lace detailing on the skirt. Thin shoe string style silk straps are adjustable. Shown here in pastel blue silk with ecru lace, it is also available in all black, white silk with ecru lace, vintage pink with taupe lace and vanilla silk with salmon lace. 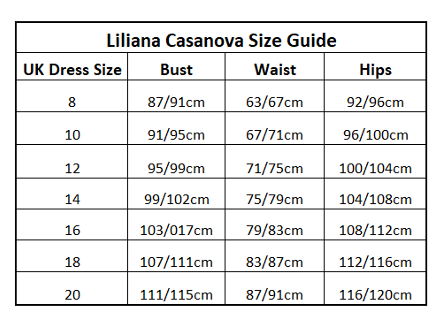 Please complete the form in the check out with bra size and height when you place your order.